That 68 is absolutly off the hook !!!!!!!! Here's mine while give her a work out climbing Mt. Pilchuck. 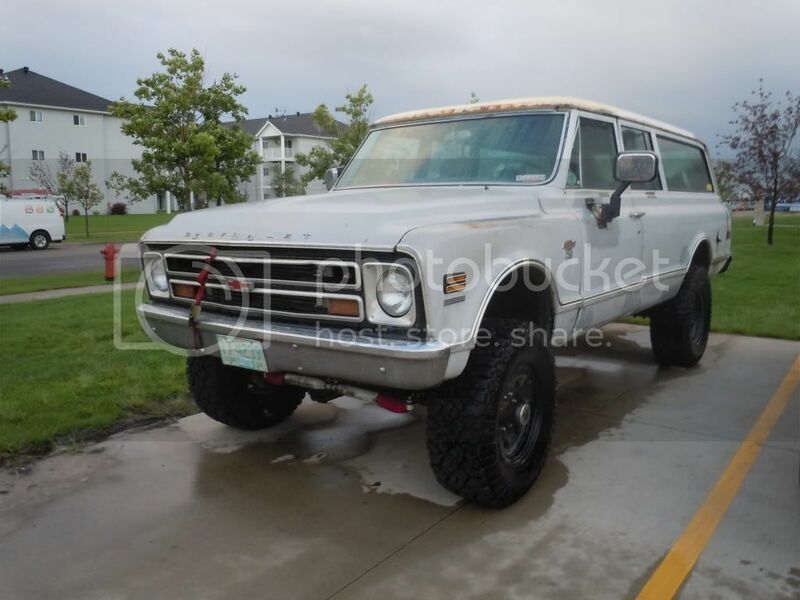 I do not know that area but just seeing another awesome 4x4 'burb makes me want to get back on track and get going on the one I want. I am sure everyone appreciates sharing with the folks here. Those suburban upgrades are sweet but so is the collection of the cars that you have listed in your avitar ! Here is my 71 still in progress hopefully it will be done this year. Hmmm.... seems like I said that last year. Interior is done except the headliner. Dropped a 383 stroker in her last spring.Just need some time for the body work. Sweet burb, Pos1. Mine will look similar once I finish body & paint. That is similar - dig your interior. 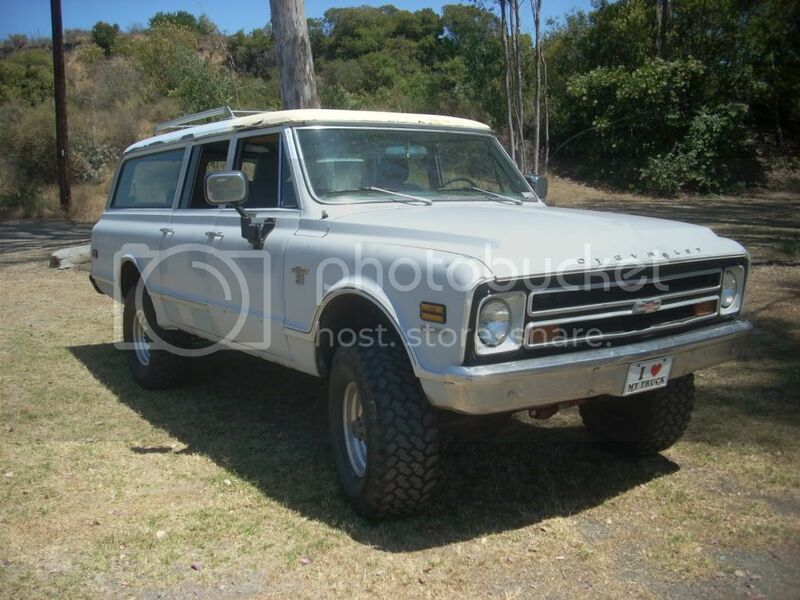 72 Suburban, 1 ton dodge chassis 4wd cummins, DTT 47rh 89%, PDR VE 3200 spring, PODS, Piers Turbo. There's more pics in my build thread in my signature and I love driving the crap out of it. Love the plain steel wheel look. What size tires on those rims? Saw this today, i am a couple of years late but i just got through painting and will be starting assembly next week. Havent decided on tire size yet. 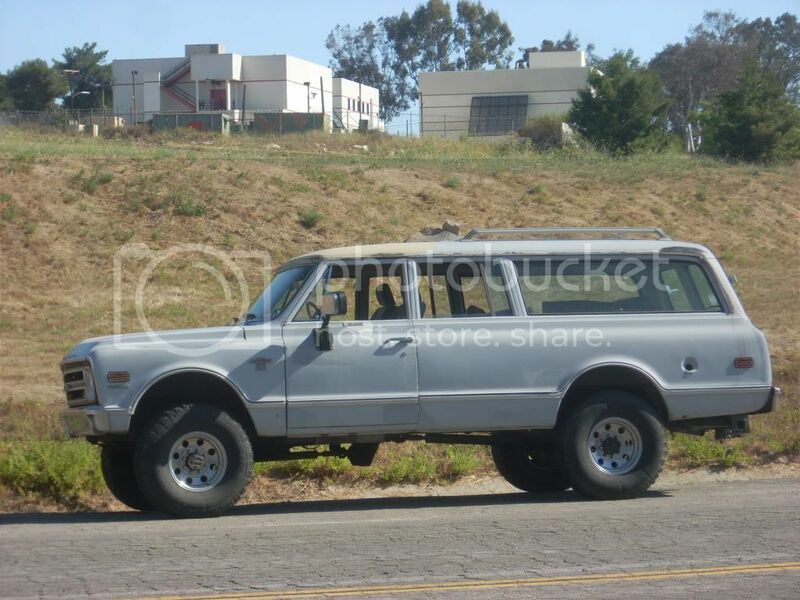 I have a 6 inch spring lift and will be running rallye wheels with either 35 or 37 inch tires. Any suggestions on which size to run? Last edited by vectorit; 06-26-2013 at 05:24 PM. My picture turned out sideways, I posted from my phone can someone rotate it for me please. Thanks vectorit. Heres another pic. The steel wheels are running 37x12.50x16.5 and the black aluminum wheels (8 hole) run 315/70/17 (35x12.50x17) for the winter. Here's my '70 Suburban, bought it in 2005 and just now got it ready for the road. It has 33-12.50 rubber on it now, the tires on it in the picture were all different sizes though. I know the left rear was a 12-16.5 and the right was a 33-12.50, it was just to move it around the property. I'm going to put a 350 back in it later on when time allows and fix the air conditioning also. It used to have a Ramsey worm gear winch mounted in the bumper, but it was gone when I found the truck. I have one to put back in it once I get the bumpers cleaned up and painted. It does have some heavy rust in the spare tire well and rust around the roof that needs attention, the rockers and floor pans aren't too bad though. 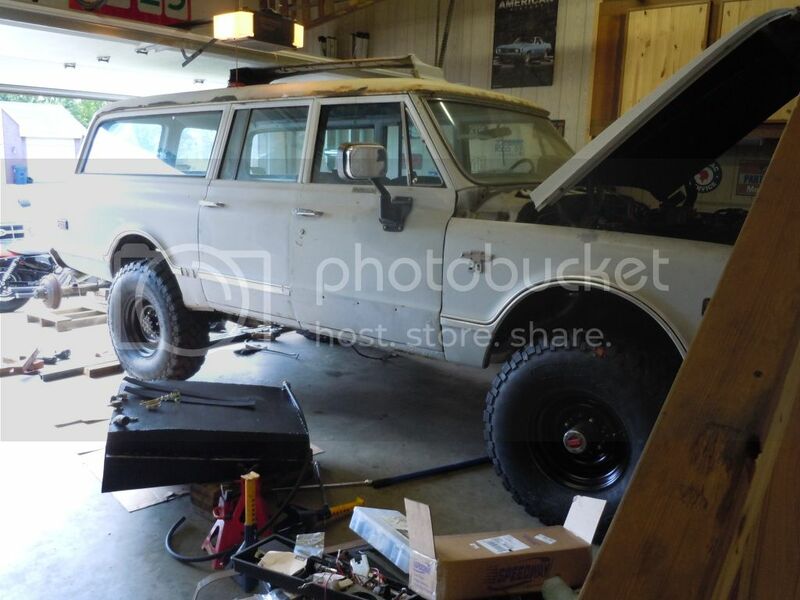 Another 4x4 conversion in progress.